Entertaining guests is easy if you keep the menu simple and stick to the plan. That being said; it’s hard for me to stick to the plan. My biggest worry is not having enough for everyone to eat. Normally I serve 2 to 3 appetizers before the meal. To help me decide what appetizers to serve I consider what the main dish will be first. Then I make a list of foods that will complement the meal. From there I choose “small bites” that I can make or buy beforehand. It’s as easy as that. For a dinner party; “What’s Cooking America” recommends 6 appetizers per person. Today’s recipe is Mini Crab Cakes with tartar sauce and fresh lemon slices. I kept the ingredients minimal because I wanted the crab flavor to shine through. The crab cakes were made the day before. I cooked them in batches in canola oil before my guests arrived and then kept them in the oven on warm for 30 minutes before serving. A squeeze of lemon juice and a dill tartar sauce added a delightful tangy flavor. These mini crab cakes were moist, delicious and full of crab meat. 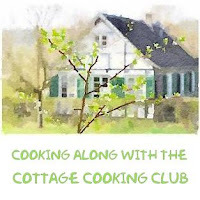 This week the host of the #SundaySupper Movement group is Wendy Hammond; of the Wholisticwoman.com, thank you Wendy! Today’s event is all about fancy appetizers. *Preparation tip* After making patties, chill for a least 2 hours and up to 24 hours before frying, (this step will help hold crab mixture together). Mini Crab Cakes with tartar and fresh lemon slices make a delicious and sophisticated starter. Whisk the mayo, scallions, egg, mustard, lemon juice and old bay seasoning in a medium-sized bowl. Add crab and stir to incorporate (be careful not to break up the chunks of crab). Add in 1 cup of the panko and gently stir, if mixture is too loose add in another ¼ cup of the panko. The mixture should be firm enough to form into patties. Chill for a least 2 hours and up to 24 hours before frying, (this step will help hold crab mixture together). In a large skillet over medium-high heat add canola oil. When oil is hot add the crab cakes, 4 to 5 at a time. Do not over crowd skillet. Cook the crab cakes for approx. 3 minutes on each side, turn carefully, until crisp and golden. Serve immediately. Garnish with lemon slices and your choice of tartar and hot sauce. Enjoy! How I wish we got fresh crab here. These look perfect for lunch on a salad as well. Thanks Kim, will definnitely try Japanese mayo next time, fabulous idea! Thanks Dena, I enjoy cooking for a crowd. I miss crab! These crab cakes look so inviting. Thanks Angie, crab is one of my favorites as well. As a Marylander I'm glad you used Old Bay! Yum! Thanks Heather, love Old Bay! We love a good crab cake! I'd be honored to be a guest at your dinner parties, Cheri :) What a delicious appetizer. Thanks Susan, wouldn't it be fun if we all lived close by we would have the best get-togethers. I'm a sucker for crab cakes and these look perfect!!! Thanks Liz, salmon and crab are my favorites. Thanks so much for your fabulous tips about making thm a day ahead and also for letting the crab cakes sit in the fridge first! Great pointers. Thanks Betsy, this was a fun event, lots of great food. We love, love, love crab cakes! Where do you buy your crab in Arizona, Cheri? I love the flavors you use - they let the flavor of the crab shine! Hi David, in Arizona I buy from Costco, it's their lump crab in the refrigerated fish area. I know crazy right? but we love it. They have a seafood roadshow ever so often and they bring in great seafood, but you never know what they are going to have. Take care! Crab cakes are my favorite. Thanks Wendy, we love them too. We adore crab cakes and love how you made them mini to serve them as an appetizer! I love the flavors you used in these cakes too. Thanks for the tip to prepare them the day before, it makes all the difference in the world when preparing for dinner parties. Have a great week! Thanks Anna and Liz, everytime I make them a little different, so nice to have a place to keep track of my recipes. We have fresh dungeons crab here in Santa Cruz and I love to make crab cakes with them . Your recipe looks fantastic. I agree with you on the appetizers. I hosted a party for 15 people last night and put out different cheeses and made a wonderful hummus with homemade crackers. My girlfriend brought a olive tapenade. Everybody seemed to be happy . Hi Gerlinde, sounds like a wonderful party and the appetizers sound perfect. I bet your homemade crackers were delicious. What a lovely dish to make for a Sunday supper indeed! Thanks Caroline, we love crab so this was a fun event. I love crab cakes! And yours look delicious! I don't make them as often as I used to, but you've put the idea in my head, so will make some this week.! Thanks Barbara, I bet yours are delicious. Crab cakes! I love a good crab cake, but I don't think we've made them in, gosh, 2 years or more now. I totally should do this. Maybe for Valentine's Day tomorrow! Thanks for sharing!! Thanks David, I think these would be perfect for Valentines Day! Thanks Grace! hope you have a great week. They look delicious, Cheri! I made crab cakes for dinner one night last week and my recipe is pretty much like yours, simple so that we enjoy the crab meat taste. Have a Happy Valentine's Day! Thanks Pam, great minds think alike! Crab cakes are a staple here on the Chesapeake Bay area. I've never met a crab cake I didn't like and yours look wonderful. Such a great make-ahead dinner idea. I may have to do this for one of our family Sunday suppers. Yummy! Thanks Tricia, I bet you have access to great crab where you live. Happy Monday! Yum, these sound wonderful. I have to laugh cause I'm like you, always worried I won't have enough and then have WAY too much! Thanks Chris, I know exactly what you mean, always way too much. Your crab cakes look delish! I love this simple recipe where the crab is the hit of the show. Thanks Lisa, loved your pear bites; I bet they are delicious! Thanks, the serving platter was a gift, I use it quite a bit. These are such cute little cakes! The lemon zest looks great with them too. They sound delicious for a party. Thanks Lisa, we enjoyed them very much. I do the same thing by letting a plateful rest in the fridge first. I love your seasonings I ready for these anytime! Thanks Cindy, appreciate you stopping by. Appetizers are often my favorite part of a party meal (okay how can I pick a favorite part)! But I always have the same fear of not enough food so I completely understand this! Thanks Inger, I'm a big snacker so finger foods are my favorite. Crab cakes are one of my favorite things to eat! 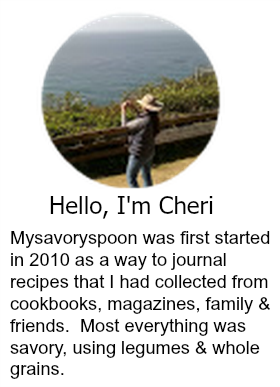 Your recipe sounds delicious, Cheri! I wish I could eat one of those cute, little appetizers right now! I've never made crab cakes, I am always so intimidated by seafood. I guess that comes from spending your whole life in the midwest? These so so good though, I need to see if I can find crab meat and try this!